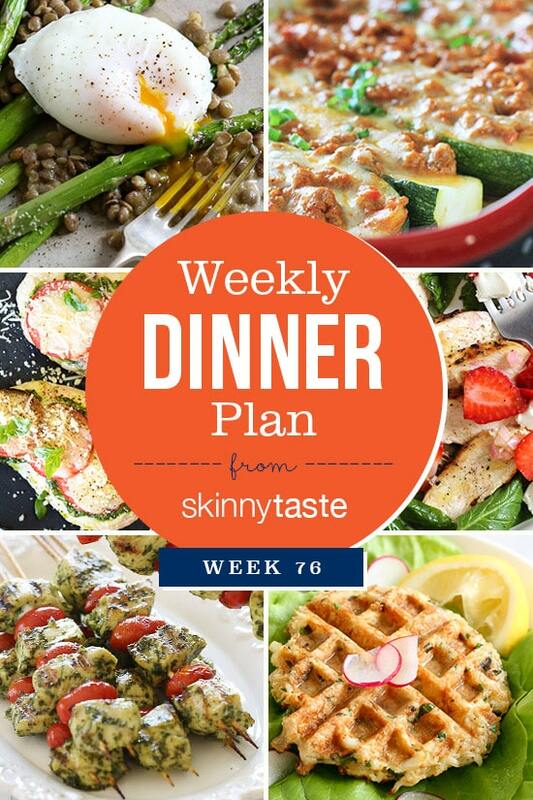 Skinnytaste Dinner Plan (Week 76). A few favorites added from last week, and some favorites from the archives Taco Stuffed Zucchini Boats and Grilled Pesto Chicken and Tomato Kebabs, perfect for Memorial Day weekend! If you want some Memorial Day inspiration, here’s a ton of recipes perfect for the weekend! These all look so delicious, seasonally appropriate, and close enough to my dietary needs. Meal planning is my downfall. I’m going to give this a go! Thank you! 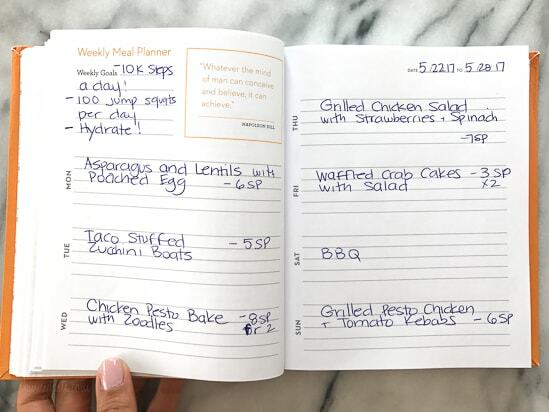 Do all your recipes in all your cookbooks have the Weight Watchers sp values, I’m thinking of ordering one of your cookbooks but want to make sure they list them and the nutritional guide as well.